You might have already read my review of another album from Siri's Svale Band, namely their Necessarily so.... release, still from Sonor Records (now Herman Records). For details about the band (now inactive) please refer to that review. Just let me remind you the unusual composition of this jazz band, which turns out to be a quite unique feature: they use two bass players, one of them plays an electric bass on some track. Otherwise there are two double-bass playing together at the same time! Also noticeable is the lack of a traditional chordal or harmonic instrument, indeed there's just a saxophone (alto or baritone) and then voice and drums. That's all. No guitar, no piano, nothing from the usual jazz tradition. The album has been recorded and mixed at the Nidaros Studio in Trondheim, Norway, in 1990. Robert Valstad was the recording engineer who also took care of the mixes, together with the whole band. Mastering has been performed by Ola Johansen at Masterhuset, in Oslo. This album has been released for the first time in 1990, then re-released in 2001. A high-quality vinyl version was also available. The reason why I'm reviewing such an old record is because it is available again on several online shops, for example at MusicStack (at 15 €!) or even at CD-ON (at 20 €). "Necessarily so...", the other album by Siri's Svale Band, is available again too. If you search with Google, avoiding the MP3 illegal download sites, you will find these albums are available also on Ebay, Amazon and other record stores. I've even been able to find the vinyl edition at 35 € too. Beware of certain sites that try to sell these two albums at nearly 100 € each! 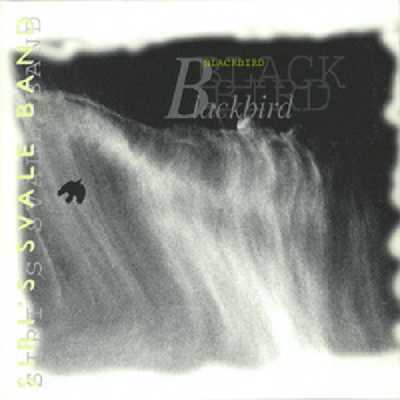 Blackbird contains several covers of old time classics ("Don't explain", "Love for sale", "Angel eyes", "Love me or leave me", "Paper moon") plus original tracks from members of the band. Do you love bass as much as I do? Well, imagine what a good recording of two double-basses can do to your HiFi system! Pure workout! Bass frequencies appear naturally extended, powerful, controlled and in tune, the only limiting factor might be the size of the woofers of your speakers and/or the power output of your amplifiers (neighbourhoods' tolerance aside). The atmosphere is, as in the previously reviewed album, generally warm and relaxed but groovy and lively moments aren't missing as in "Love for sale", "Love me or leave me" and "Paper moon". Especially these last two tracks are an excellent test field for PRaT. This recording is, besides an excellent test for bass articulation and depth, even a good test for voice and sax: both should sound clean and with a strong presence effect. On certain tracks Siri's voice might appear a bit too closely miked (e.g. "Love for sale"). On "Miss Otis", from 00:00 to 00:32 Siri sings all alone and you should distinctly hear the echoes of the room where she sings. When the rest of the instruments starts playing, the voice should remain clean and uncompressed as it appears in the first 30 seconds of this track. On "Bassar" you should be able to hear the saxophonist taking breath between notes. As for double-bass reproduction: just take the first 40 seconds of the opening track "Don't explain", turn up the volume and prepare yourself to be amazed. The soundstage is well focused though not exceptionally deep. The singer should appear at the center of the space between the speakers, at a natural height. Be careful with woofer excursion and amplifier clipping, though. Here's the screenshot of the DR software applied to this recording. I remind you the DR software measures the amount of (average) dynamics contained in a recording, for more details please refer to our list of records analyzed via this software. Despite being highly dynamic, this recording doesn't score very well under the analysis of the DR software and that's because of the quiet nature of the music. Quiet tracks, even if very dynamic, do not perform well with the algorithm used inside the DR measurement system. This notwithstanding, 4 tracks reached DR11 and one DR12, which is a very good result. Not surprisingly this album became one of audiophiles' favourites at the time. It still is one of the albums I use to test HiFi equipment with, after all these years. You don't need to love jazz to enjoy "Blackbird": its unique blend of jazz tradition and innovation will easily conquer everyone's taste. To get an idea, samples of the tracks can be found at Normann Records (MP3 tracks available for sale).